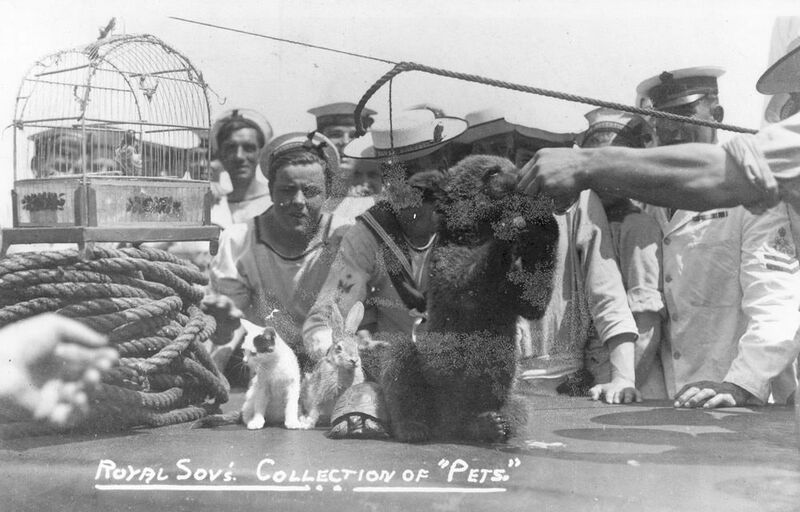 Crew of the battleship HMS Royal Sovereign (launched 1915) with a collection of ship's pets including a bear, bird, cat, rabbit and tortoise. Undated. This Ship's Pets on HMS Royal Sovereign Art Print is created using state of the art, industry leading Digital printers. The result - a stunning reproduction at an affordable price.